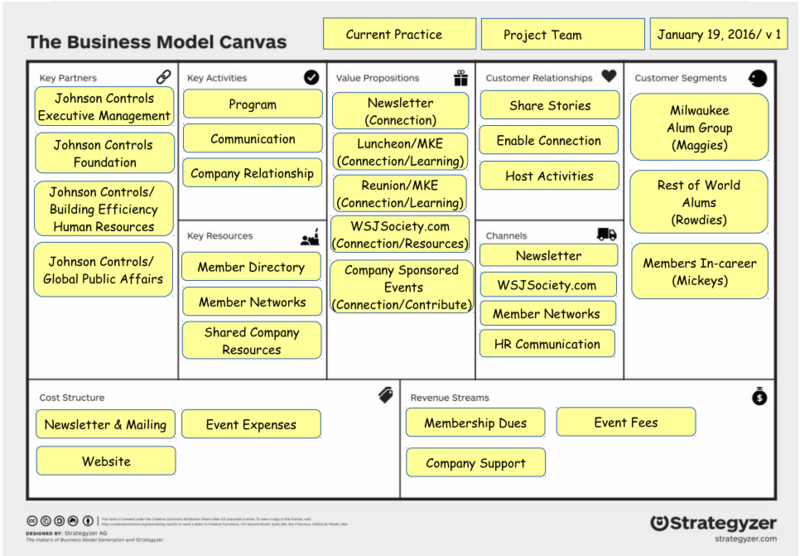 OK, thanks to member input over the last several years, we have a draft Business Model Canvas for the WSJ Society. Click on that thumbnail image to see a larger image. Or, better yet, check it out with backup information on the project page: WSJSociety.com Update/ Project Page. In good startup form, the business model canvas is just a set of guesses until they are proven to fit the challenges faced faced by customers — product/solution fit, and that there are enough customers with those challenges — product/market fit. Those questions are still down the road for us. 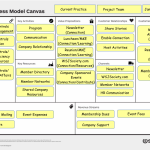 Just remember, we can, and should, make changes to the business model canvas as we learn from our customers i.e. our members and partners. So, your suggestions at any time in this process are the ‘gold’ we’re after. You can pass along your ideas by sending a note via the Join the Discussion. 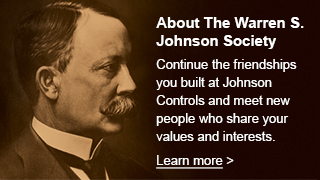 We’ll be updating the project page as Project/ WSJSociety.com Update develops so check back regularly. By the way, have you noticed the SITEMAP link at the bottom of each page on the website? It’s been there all along, but I haven’t used it much until now. I’ve cleaned up a few of my mistakes made along the way so the map seems easy enough to follow. What do you think? You can find the project page: WSJSociety.com Update/ Project Page and response page: Join the Discussion near the bottom of the list.